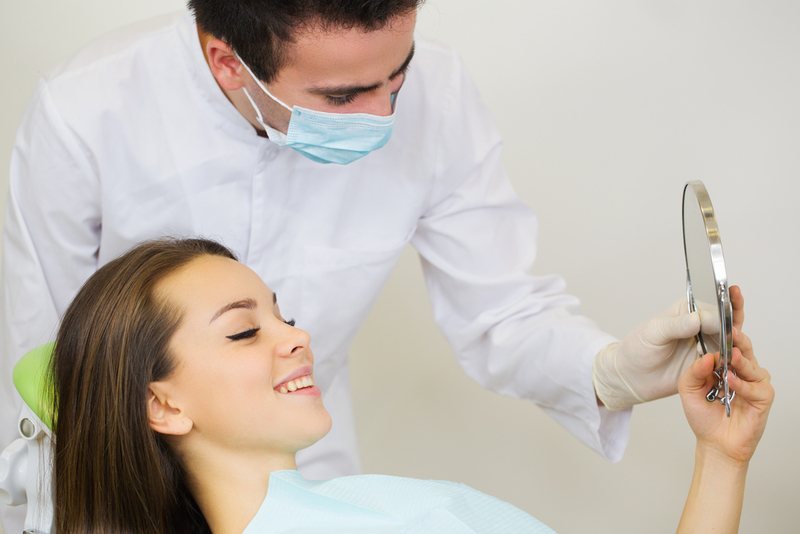 Here at Greenspoint Dental, we offer many different types of cosmetic dentistry to provide you with a smile makeover. In other words, we offer ways to improve the aesthetics of your smile. The most important thing to consider is the health of your teeth. Make sure you brush your teeth twice a day, floss once a day, and visit the dentist every six months for a professional dental cleaning. However, if you have healthy teeth but still want to improve the appearance of your smile, you should consider a smile makeover. Dental whitening, such as Zoom! System in-office whitening procedure is a popular and affordable treatment to improve the appearance of your smile, by making them up to eight shades lighter in a single one-hour session. The Zoom! System uses a powerful whitening gel which is activated by an LED light. No messy trays or clunky whitening strips are required. Dental bonding is used to restore and improve the look of teeth. Dental bonding allows the dentist to restore and rebuild damaged teeth using special tooth-colored composite materials. Using a special curing light, the bonding materials are set and hardened. Afterwards, the dentist will polish them to achieve the ideal shape and appearance of the dental bonding. Dental bonding is often used to close small gaps, fill cracks and chips, and as a dental filling material to treat cavities because it blends in with the natural color of your teeth. Dental crowns are a form of porcelain cap that fits over a tooth. They are custom-made and designed to improve the appearance of the tooth, while also protecting it and restoring function. Dental crowns are sometimes used to help anchor bridges. They are also used to restore dental implants. Veneers are fabricated from porcelain or lithium disilicate (Emax). They are designed to fit onto existing teeth and can dramatically improve the appearance of teeth in as little as two visits. Porcelain veneers reflect light and look like healthy, natural, straight teeth. Veneers can be used to cover over chipped, stained, slightly crooked or misaligned teeth for an amazing smile makeover. Every person’s teeth are unique and some people have gums that cover a bigger part of their teeth. Some people have gums that may sit too high, generally due to gum recession. With gum contouring, the dentist uses dental lasers and scalpels to reshape your gums. In the case of receding gums, the dentist will generally perform a gum graft. 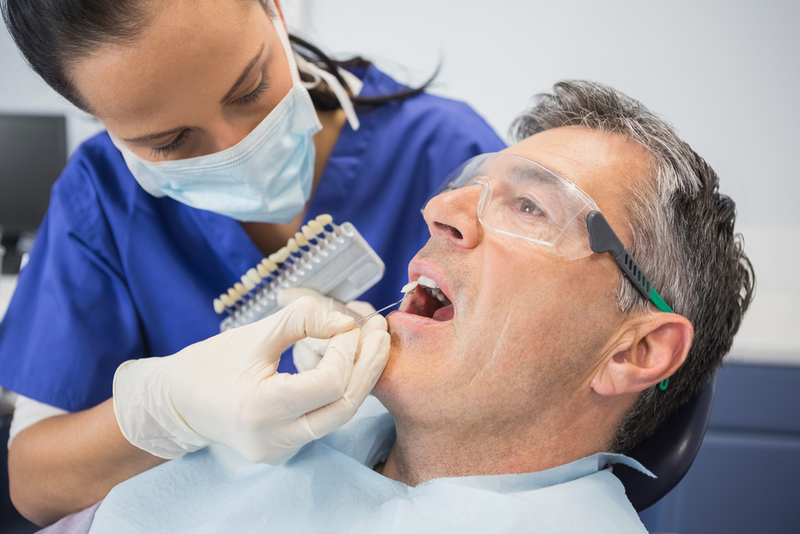 Connective tissue will be taken from the roof of your mouth and affixed to the receding parts of your gums with stitches. This is less a cosmetic treatment and more a restorative one, protecting your tooth’s roots from becoming exposed. If you have gaps between your teeth, misaligned teeth, or crooked teeth, Invisalign and orthodontic treatments can fix these issues. Invisalign is best for addressing slightly crooked teeth or small gaps between teeth. Braces have been around for decades. New and improved brackets move teeth into alignment faster and more effectively than ever before. 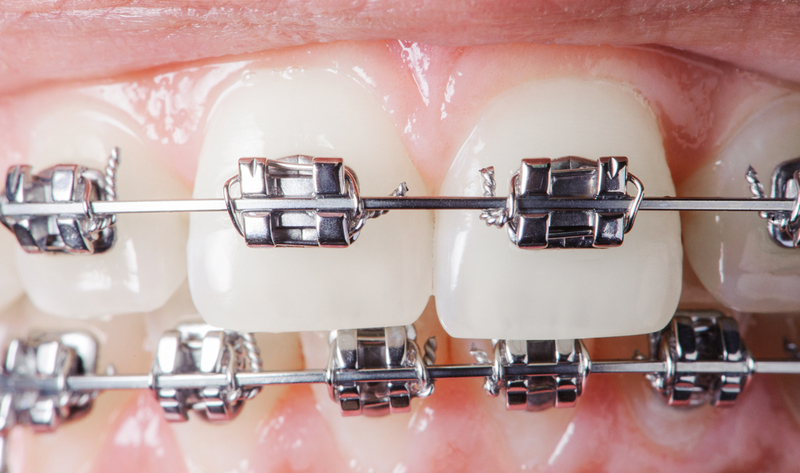 Today’s braces come in several different forms including metal, ceramic, and clear removable aligners. Not only are braces more affordable, but more and more adults are also now using braces to straighten and align their smiles. Missing teeth can greatly impact the appearance of your smile. If you’ve lost a tooth or had one extracted, dental implants and bridges can address your missing tooth. Dental implants are often an ideal way to permanently replace missing teeth. Dental implants look and function like natural healthy teeth. They are extremely durable and can last decades or more with proper dental care. Dental implants should be treated like naturally occurring teeth with daily brushing, flossing, and regular dental cleanings and checkups. Dental implants are not right for everyone. They require enough bone and gingival contour to support them. The process does take several months because the titanium root form implant must integrate to the bone which takes a few months. Even though there is longer healing time, in many cases, dental implants are the best possible solution for missing teeth. Dental bridges are prosthetic teeth that are held in place by natural teeth and used to fill in the gaps caused by missing teeth. 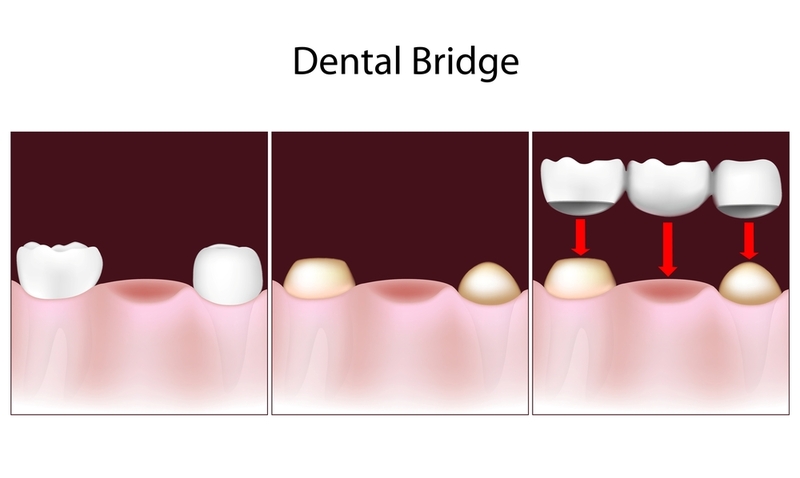 Several different kinds of dental bridges are available for a different situation: the location and position of the missing tooth or teeth will determine the type of bridge that is best suited for you. In order to be durable, dental bridges require strong anchor teeth on either side of the missing tooth. The anchor teeth (called abutment teeth) are covered with a crown that is joined by a prosthetic tooth, or pontic, which is replacing the missing tooth. If you, or someone you care about in the Houston area, is looking for exceptional cosmetic dentistry services, advanced restorative services and orthodontics, or general dental care, we can help. Our caring and highly trained staff will work with you to achieve your smile makeover goals, maximize your dental insurance benefits and create an affordable plan to help pay for it all. Our office is multilingual, speaking English, Spanish and French for your convenience. While you are here, make sure to stop by our smile gallery and check out our dental blog. At Greenspoint Dental, we care about your dental health. Call (281) 823-9987 or click here to contact us today, for a better smile tomorrow.